We have gone through periods of poverty and periods of plenty. We have gone through loneliness and times of overflowing community. Anger and joy, sickness and health. We have gone through it! This past year, my six year old was diagnosed with a malignant brain tumor that sent us 8 hours away from home to St. Jude for radiation and chemo. It was hard in ways I will never fully be able to articulate. And because of that, I am so excited to spend Christmas this year at home, in the coziness and warmth of our house in the mountains. I will appreciate this Christmas like I have never appreciated it before. All that to say, I am really excited to share my latest project. This latest book in my printable coloring book series of “Illustrate Your Faith”. This year’s book takes you through the Advent Season using the Jesse Tree tradition. Traditionally, there are ornaments that get added to a special tree as you read through the whole of Scripture in anticipation of the Savior’s birth. I have two options for you with this project. 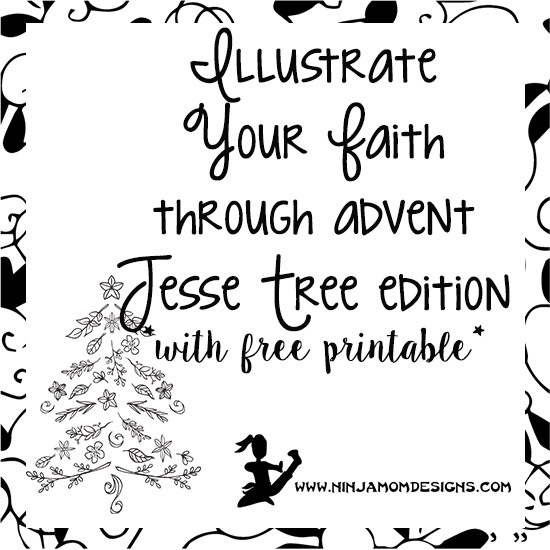 Illustrate your Faith through Advent: Jesse Tree Edition printable coloring eBook. Illustrate your Faith through Advent: Printable Jesse Tree ornaments. 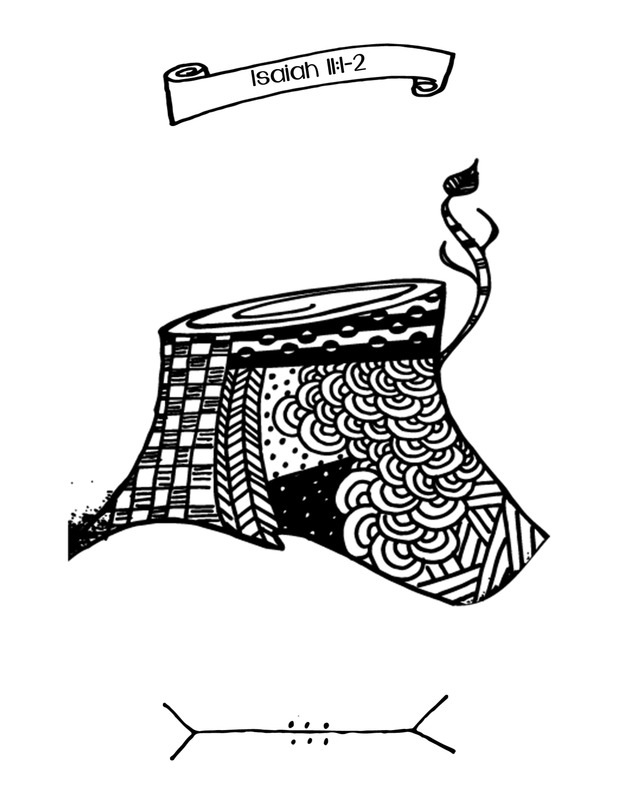 Both have 29 designs, hand drawn in Zentangle fashion. One is an eBook with each design on a separate page and one is a printable pack with 2.5 inch ornaments to print and color. Be sure to check out the Other Printable Coloring Books from Ninja Mom Designs: Available on Teachers Pay Teachers and Etsy.